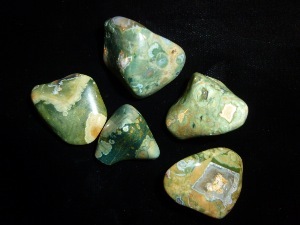 Rainforest Jasper is said to bring a connection to the Earth’s energies and may bring a hope, renewal, invigoration also too. Believe to useful in grief or depression, or any situation where one has lost interests in engaging with life. 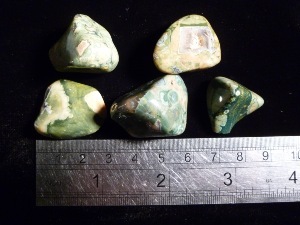 Rainforest Jasper tumbled to a smooth finish, an ideal pocket size stone, small enough to carry around with you. Tumble Stones can also be placed around the home for their energies or can just be nice decorative items.